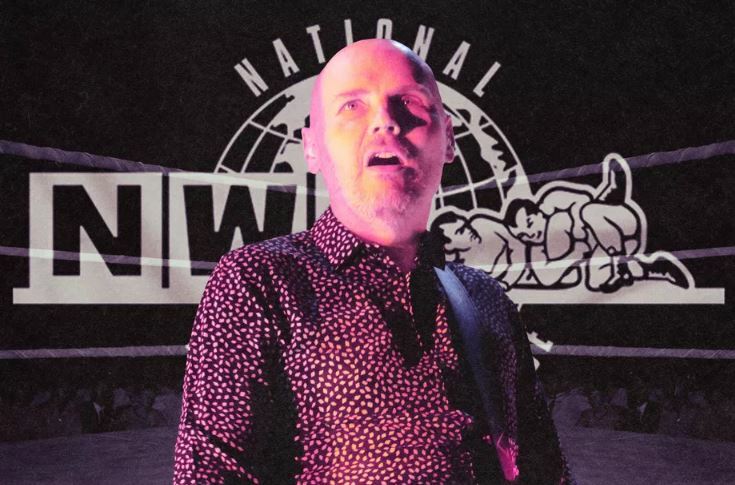 By TheRinger.com’s David Shoemaker and The Masked Man: Last year Billy Corgan—most famous for being the creative force behind Smashing Pumpkins—bought and revived—the National Wrestling Alliance, the most storied brand in pro wrestling. On October 21, the NWA will hold its 70th-anniversary show in Nashville, Tennessee. This week, Corgan sat down with David Shoemaker on The Masked Man Show to discuss the upcoming show, the future of the pro wrestling business, and whether he can ever see himself working with Vince McMahon. I don’t want to say I predicted that you would have this turnaround in, say, one year, but I certainly saw what was coming. Let’s walk it back a few steps. When I was at TNA and involved in the conception of what we would call the Broken Universe—working with Matt and Jeff [Hardy] and of course David Lagana and Matt Conway and Jeremy Borash and everybody else who was involved in sort of building this thing—it started from an idea I had in booking where I kept saying, why can’t we do stuff out of the building? The general backstory being TNA Wrestling was underwater financially. And we were spending so much money shooting segments, I started saying, why can’t we shoot stuff off-grid? Why can’t wrestling be more of a 24/7 universe as opposed to a once-a-week, here-we-are-in-the-building type of thing? And that cracked the door open to allow us to start doing stuff off the grid, which led, of course, to the Broken Universe stuff. And the reaction to that sort of told me that the future of wrestling lay more in a combination of fantasy and reality. And all you need to do is look at something like the growth of wizard cons and comic cons and stuff like that. People are very comfortable now with sort of going deep into the fantasy side of a show, of the characters, but at the same point, they’re very interested in the people who are behind the scenes. Not just talent, but also as the creators. The people who do the animations or whatever. So you see this sort of burgeoning world coming out that I would call more of a 24/7 approach to content where you can have the show, but also the show behind the show is almost just as interesting as the show. So how do you balance that? And then of course you look around the world, and you look at models like the UFC and how they produce their content, where one minute Dana White’s a showman and one minute he’s a comedian and he’s sharing funny meme videos. You know what I mean? You don’t have to be anything traditional anymore. You can be whoever you are, and you kind of work with the public and you kind of find a space that they work towards. So we saw that coming. Now, the emergence—to answer your question faithfully—the emergence of people like Cody [Rhodes] and the [Young] Bucks and their ability to take their personal brand and flip them into actual ticket-selling beyond the realm of a promotion, or in support with a promotion like Ring of Honor, and that sort of emerging world of, let’s call it, the non-WWE universe, which is this kind of Wild West of all these promotions, talents. And everybody’s starting to align because they realize there’s so much power there. That’s where we find ourselves now with the NWA. We’re in this sort of glue position where we can bring disparate parties together. And through the history and legacy of the NWA, we can create events. Listen to the rest of the audio interview here. Photo courtesy of AP Images/Ringer illustration.